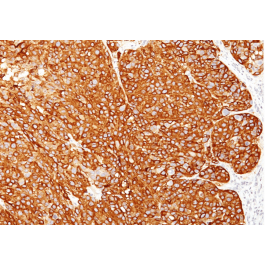 Search for all "Melanoma Marker (MART-1 + Tyrosinase + gp100)"
Mouse anti Human Melanoma Marker (MART-1 + Tyrosinase + gp100) M2-7C10 + M2-9E3 + T311 + HMB45. Product is tested for Frozen Sections, Paraffin Sections. 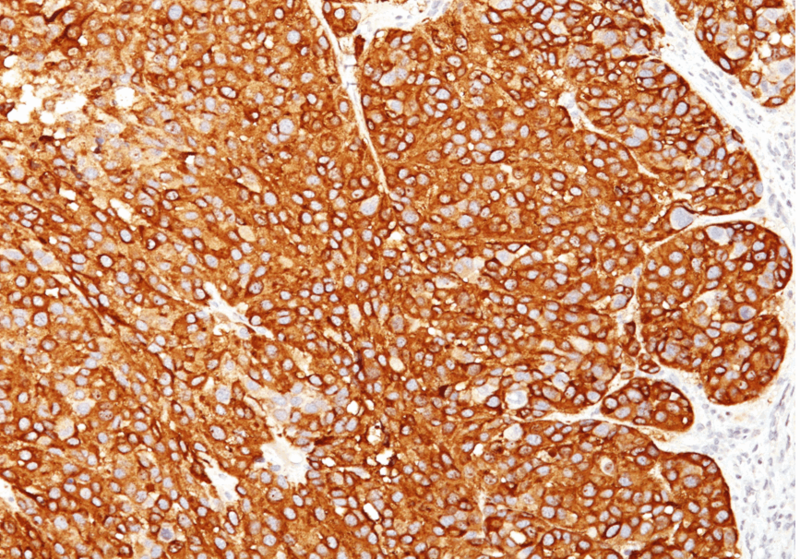 Recombinant Human MART-1 protein (M2-7C10; M2-9E3); Recombinant Tyrosinase protein (T311); Extract of pigmented melanoma metastases from lymph nodes (HMB45).